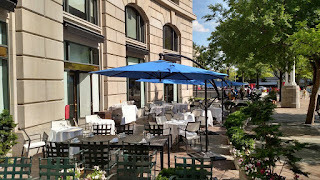 This July, Ashok Bajaj's landmark 701 Restaurant, located at 701 Pennsylvania Avenue, NW, will transform its 40-seat outdoor patio into a festive backyard BBQ where guests can enjoy upscale versions of traditional summer favorites while admiring the view of the Navy Memorial fountain and the National Archives along Pennsylvania Avenue. Exclusively during the month of July, guests can pig out on newly appointed Executive Chef Bryan Moscatello’s house-made barbecue staples such as Compressed Watermelon with Villa Manodori balsamico and salt; Blue Crab Roll with celery, onion, uni and arugula; Octopus Ceviche with pickled garlic & Fresno chili and taro root chips; Grilled Stone Fruit Salad with house ricotta and balsamic; Wagyu Beef Sliders with pickle, cloth bound cheddar and malted onion jam, served on a brioche bun; Duck Bratwurst with foie gras emulsion, pickled onion and anise hyssop; Honey Yogurt Glazed Shrimp with cilantro; Pork Belly Sandwich with sweet tart apples and cracklings, served on caraway brioche; Smoked-Fried Chicken with picked purple cabbage slaw and biscuits, as well as a Corn Spoon Bread. Dishes will be sold a la carte during both lunch & dinner service; prices range from $5 to $24 each. For the perfect pairing, guests can enjoy a variety of white and red wines by the glass and specialty cocktails priced at $7 during Happy Hour, which is available Monday through Friday, from 3 PM to 7 PM on the patio. Cocktail highlights include In the Cut, Casamigos Añejo tequila, Aperol and Dolin Rouge; Blushing Smile, Barr Hill gin, strawberry, balsamic, lemon and black pepper; Reverie, Absolut Elyx, sparkling wine, thyme, pamplemousse and lemon; Montego Bay Daisy, Smith & Cross rum, Giffard Triple Sec, St. Germain, lemon juice and Angostura bitters, garnished with an orange twist and the Sazerac’s Sister with Dickel rye, yellow chartreuse, Cocchi Americano and Peychaud’s bitters, garnished with a lemon twist. 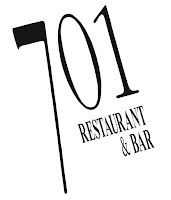 Located in Washington, DC's hip Penn Quarter, 701 Restaurant is one of the DC’s favorite power spots for dining and entertaining. 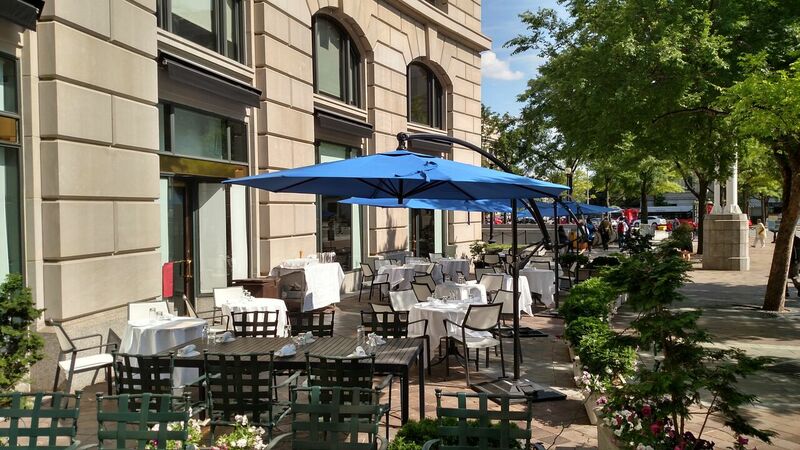 It's conveniently located close to The White House and Capitol Hill at 701 Pennsylvania Avenue, NW. Lunch is served Monday through Friday, from 11:30 AM to 3 PM. Dinner is served Monday through Thursday, from 5:30 PM to 10 PM; Friday, from 5:30 PM to 10:30 PM; Saturday, from 5 PM to 10:30 PM and Sunday, from 5 PM to 9 PM. Valet parking is available Monday through Saturday, from 5:30 PM to 10 PM. 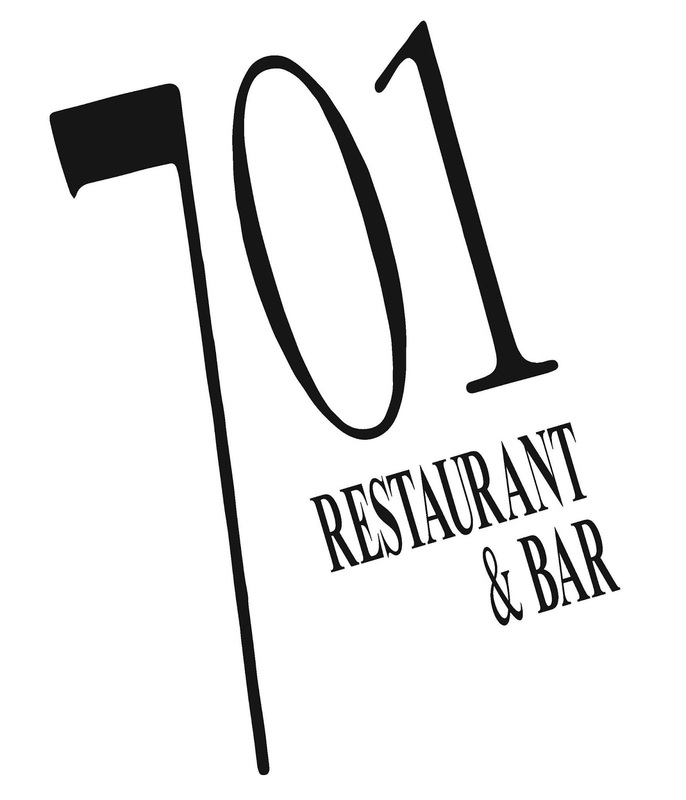 For additional information, please call (202) 393-0701 or visit the website at www.701restaurant.com.